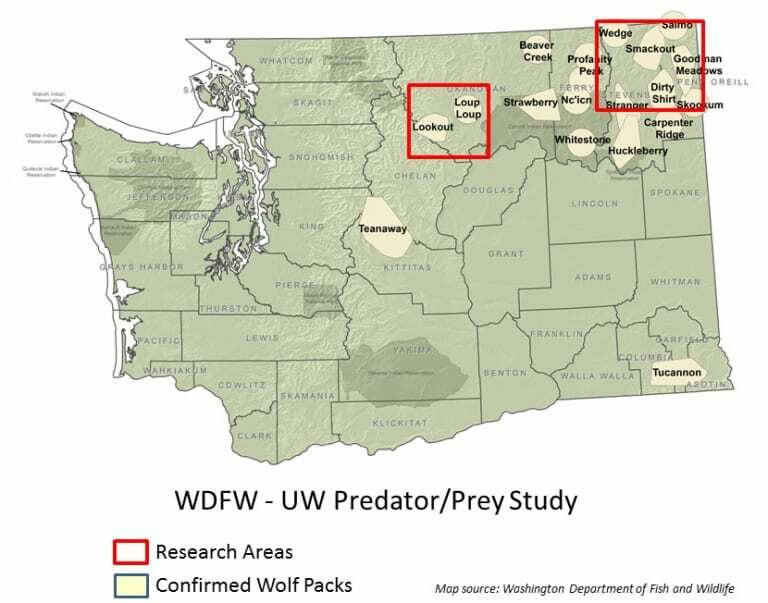 The Washington Department of Fish and Wildlife and the University of Washington are beginning a collaborative study to determine how eight years of growth in the state’s wolf population is affecting deer and elk as well as other predators. The study, which is scheduled to last for at least five years, will assess the health of deer and elk herds in northeast Washington and the impact the spread of wolves might be having on hunting and other recreational activities. This entry was posted in News, Pacific West Wolves, Regional Wolves. Bookmark the permalink. Error: Error validating access token: Session has expired on Friday, 22-Mar-19 12:26:11 PDT. The current time is Sunday, 21-Apr-19 03:14:31 PDT.